Slepalex - The posterize option in the TE is not bad but is limited to the whole terrain height. Like if you do it in a graphics program and decrease the number of bits from 16 to 10 to 4 or so - or use a 8 bit height map. GeoControl/WorldCreator also has such an option (Filter > Shape Filters > Terraces sharp/smooth). 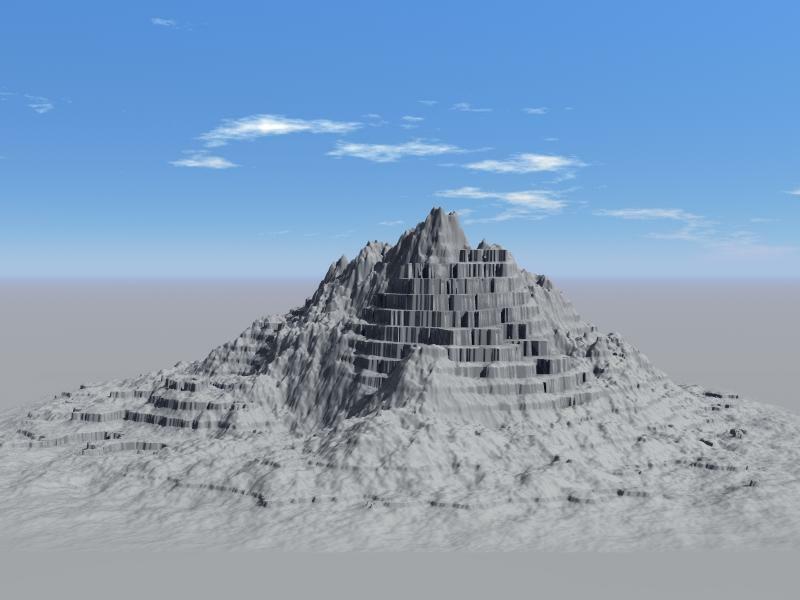 Currently I know only one tool that has a posterize filter that can be set to a specific height range of the terrain and how fine or coarse those steps are and also can add several such terraced bands. Dave - yes, in the pre-computer age we cut cardboard layers according to the isohypses of a map (in the UK you call them Ordnance Survey Maps) and then glued the layers one on top of the other to form a 3D landscape. I still have one around we had made with the children and then went for a walk in that region in the real world. Hansmar - yeah, you need to be a bit of a madman to do this to yourself. But at the time it was the only means to get a real terrain. By the way, the resolution of a TerrainParty terrain is even less of the hand drawn one - I tried it once. Rasberri - thank you. I hadn't the necessary spare money to buy Bryce 4 and used the free Terragen, which is actually a very nice program, too. Eugenius - thank you. Good example. As Slepalex mentioned, GeoControl/WorldCreator can load externally made height maps and even though you cannot actually modify it or using Isolines, the filters all work. I haven't tried rivers and roads on an imported terrain, only on GC/WC generated terrains. Horo, after all, we still know very little about the capabilities of Bryce. This is not about hidden opportunities, but about the obvious ones that lie in the most visible place. As soon as I read your words “The posterize option in the TE is not bad but is limited to the whole terrain height.” I immediately remembered what I was doing yesterday. This message of Dave Savage about the manipulation of erosion in TE led me to this thought. So here we go. Create a terrain and apply posterize. Turn on the Unpaint Effect mode and use a soft brush to erase posterization in some places. Below it, the original terrain is exposed. If we overdo it, we turn on the Paint Effect mode and in some places we restore posterization. Quite a bit of patience and your words about the impossibility of posterization in some areas turned out to be refuted. Glory to the Great BRYCE! Slepalex and Horo - very nice examples. Here is a quick sketch with a combination of Eroded, Erode, Posterize, Unpaint Effect and Paint Effect. If you pass this terrain through the filters with noise by default in GeoControl2, then you can get quite decent terrain. So I tried exporting some terrains made in World Creator 2 (granted I am using the RC 14 release as of September) I also wanted to share some quick renders with World creator 2. I am by no means an expert, I have plenty to learn. 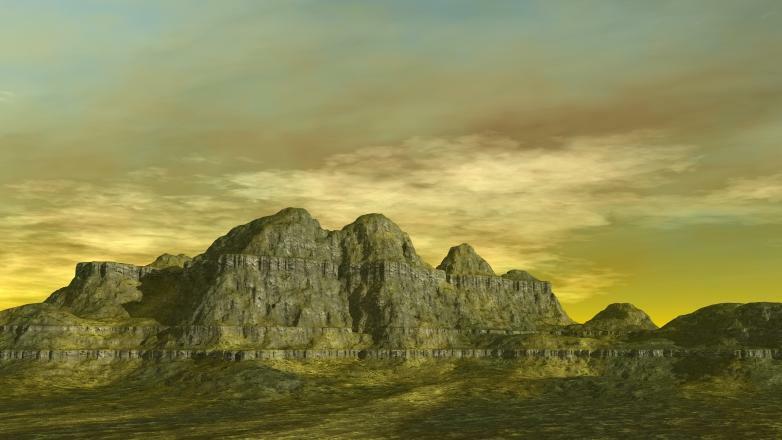 The first 2 are made in WC2 and I exported the 2nd terrain into Bryce and did a quick render. I exported as an 8bt Tiff and also as a png. I think it’s most efficient to save the heights map as file.PGM for Bryce. This is 16 bits in greyscale. I have not figured out how to make the required number of terraces in GeoControl2 at the right height. Just slightly changed the parameters. But just in case, I saved the settings in file.GTS. If someone needs, I am ready to share. Rasberri, go ahead and you will succeed! The main thing - do not give up at first failures. Fabulous developments Alex.... This is why I'm messing in the TE at the moment. I'm sure it does a lot more than we know about.... It's a matter of stretching it beyond it's intended limits. For this one I made my terrain then tried to see if the red/yellow bracket would restrict the 'Posterise' effect like it does on Mounds etc... Anyway, it didn't, but in the same way Alex made his terraced terrain mixed with the regular one, only the other way around. 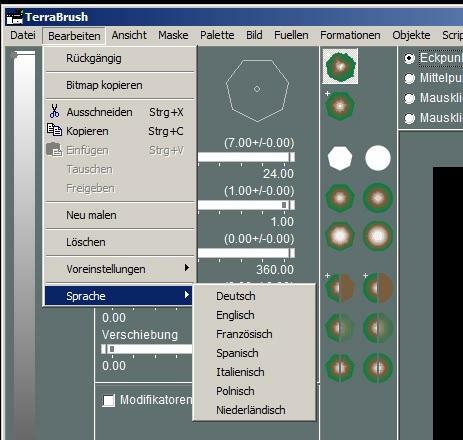 If you make a terrain and apply an effect to the level you want it then when it's applied itself to the terrain you "undo" (use the keyboard command to undo, I don't think the menu undo command works in the TE)... You can then use the paint effect to paint on instead of painting the undo... This is useful if the area you wish to apply the effect to is small. In this case, I simply painted a line of the effect at a suitable place in the terrain to make a staircase carved out of the terrain... 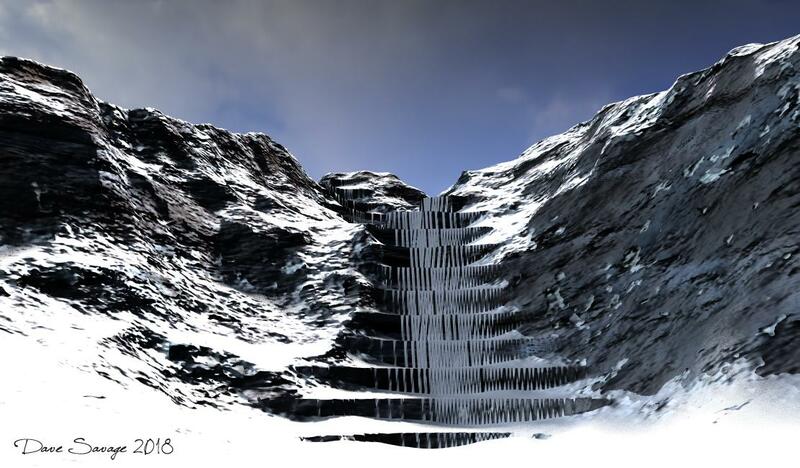 Sadly the sharpness of the posterisation has confused the material in this render (though it could be water frozen as it cascaded down the steps)... If you "Smooth" the terrain after applying your brush effect, it solves that problem. I'm rendering a version that has been smoothed and a different material applied but it's late now and I need to sleep so will post that in the morning. Dave, try to blur the terrain a bit immediately after posterization, and then perform manipulations with (Un) Paint. To compensate for the lack of cancellation, I simply duplicate a good variant. And then I continue to manipulate the original. You can always go back to the first version. I'm joining the conversation late, but I would like to add a quick note in regards to using Bryce's Posterize effect; a little goes a long way. I found that controlling the amount of the Posterize Effect first, then Undo (Ctrl Z) and then Paint Effect with a very soft or medium brush can create some nice terrains effects. Even if you prefer steeper terraces than the rendered picture, controlling the Posterize could be beneficial. 2048 Resolution (Rounded Dunes Posterized). Alex: Yes, that's exactly what I did for this render and the problem is solved. Here's the one I smoothed, It doesn't need much, just a quick click. 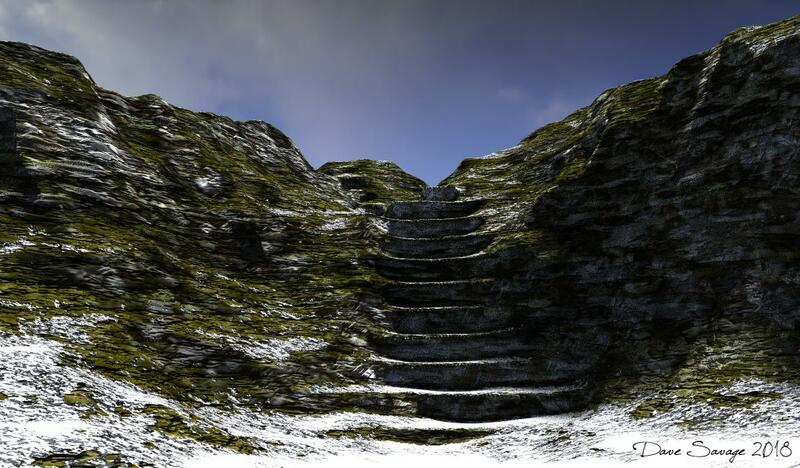 I once made a stone staircase in an old park, but I drew it in a 2D editor. Dave, Slepalex and Eugenius: you do wonders here! Very cool works. We can all learn from you. Dave Savage - Nice work! The smoothed stairs added realism as in anciently used stairs. Slepalex - Amazing work on GeoControl2. There is another old free height map generator. Called TerraBrush. 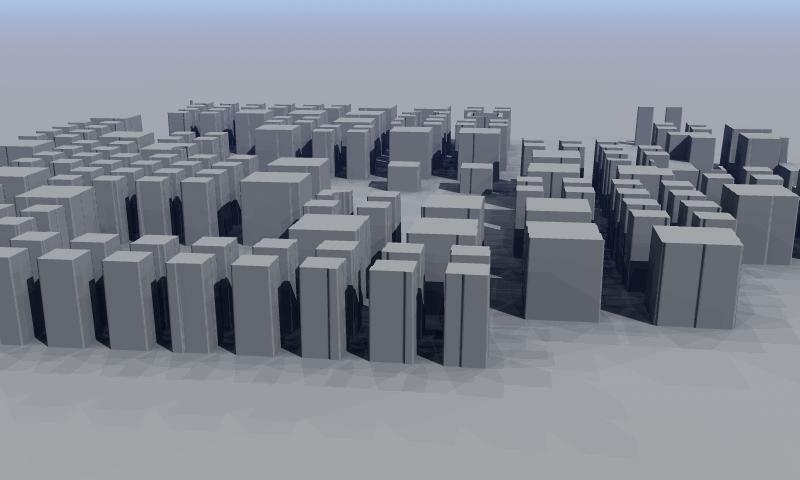 These are the height maps I created 10 years ago for modeling in Bryce using symmetric grids. Does not require installation. Just open the EXE file. Slepalex suggested I ask here too. "On searching today I found a placemaker plugin (not free though) for Sketchup to create layouts for cities, etc. Since Sketchup is not my preferred scene creator, I am wondering if there is a city/town/street generator to use in Bryce specifically. There are so many street maps but not sure how to get it into Bryce - can 2D planes work of such? The terrain height map generator is more mountain related and do not pick up roads. Or what is the easiest way to create street layouts in Bryce? I have some street kits from ShareCG but was thinking of something more ready-made and not build streets by parts. I want to create city/town scenes to which I can add all the buildings and houses I got via Sketchup warehouse or any other sites". I am currently just want a simple flat terrain with various streets but am not feeling like drawing streets from scratch. 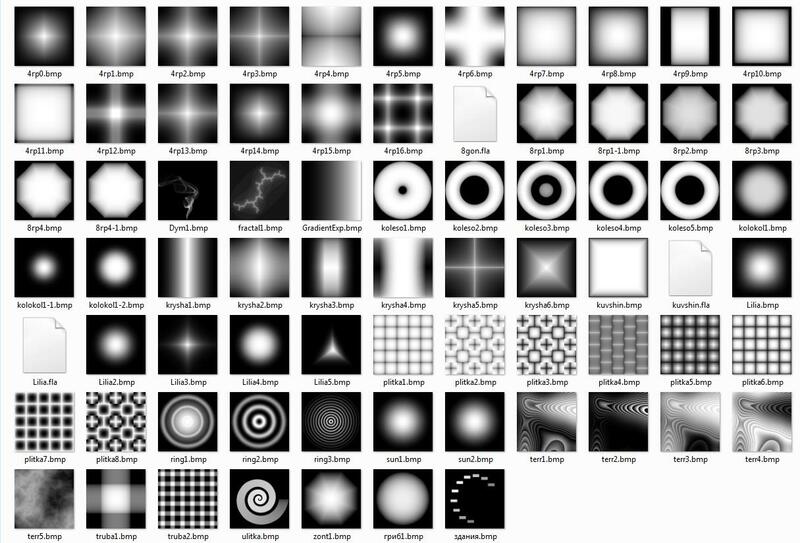 I have downloaded World Machine basic (free). So, do I have to import any street map into World Machine to get this flat terrains? It is unlikely that you will find such a map, but you can schematically create a city block both with the help of TerraBrush and Bryce TE. If I have time, I will show you how to do it. I have just downloaded TerraBrush afer seeing your post about it. Thank you, will await your help. 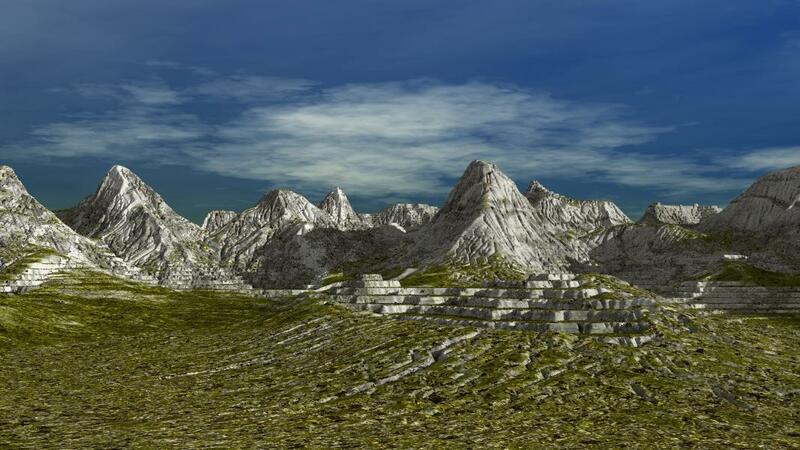 This spiral and terrain are made in TerraBrush. If you mean it, then this is done in 5 minutes in TE. Slepalex, It looks great for buildings but not quite what had in mind. I was just now searching more for street layout in Sketchup Warehouse and got this one and tested it out quickly in Bryce. There was some buildings which I have removed in Bryce but this is what I was somehow needed. 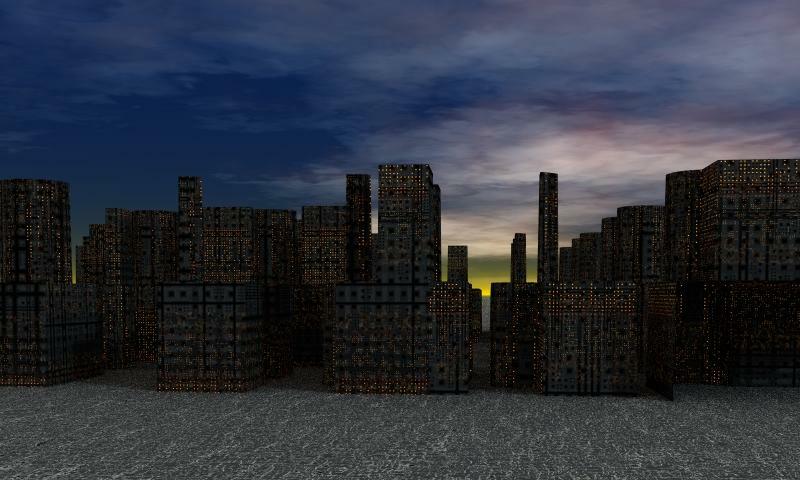 In this instance I can just add buildings, houses, trees, plants, etc. Even the sidewalks/pavements are already in the Sketchup model. I can't believe I have missed this one earlier on searching and now I got something so quick! It's a whole town! I will give TerraBrush also a try as it is creating nice images looking at yours. I thought you needed something like this. Try dragging your texture from Sketchup to TE as a height map. Depending on how much time you have and what software you have anstalled, you can make you own in Illustrator, Photoshop or other drawing software. When it looks how you want it. Save it and simply import it into Bryce onto 2D plane... Then add buildings, trees and whatever else you want. Actually my experience with the TE is very little. I once made a logo with a bit of grunchy effect for a friend and tested this out in the TE but that was ages ago! I had to quickly search online how to use the TE. If anyone else is interested in using it this might help. Just run it, no install needed but it starts in German language. Go to the Language settings to change it to English.